Wow what a week it has been, we found out a lot about this new 5g network. You now know we are on the cusp of the next big jump in human evolution. We know now how, where, when, who and why of the new 5G Network. Yes, we open Pandora’s box and now our fall down the rabbit hole is reaching an abrupt end. So what is next? Next? The future of the new 5G network. In this 5th part of the 5 part break down we are going to take a Snow-white like look into our futures. 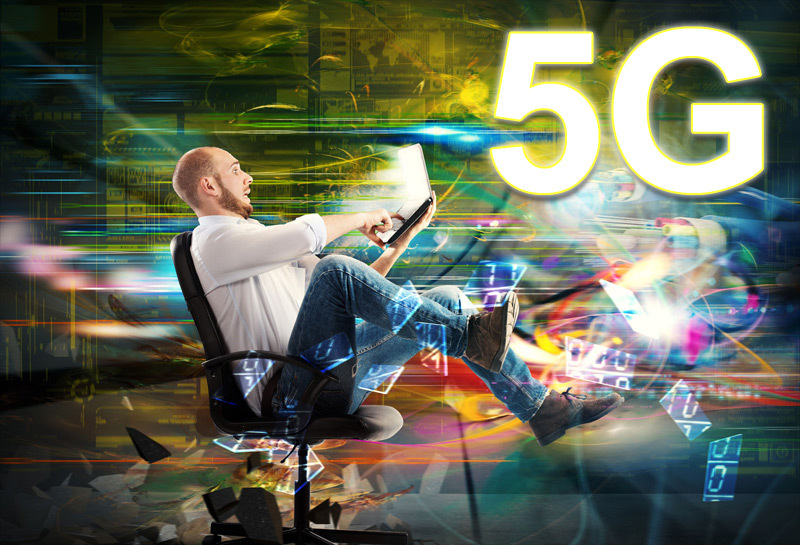 5G connectivity is coming, and faster then you would expect. We know when and we know what it can do, and where it will take us. Let’s talk about the real fun stuff, where we will take the new 5G Network. Here is the 3 big theoretical things we will discuss and try to grasp as we think of what we can do with this extreme capabilities. Time Travel, Space travel, and Medical operations/Cyborgs. First up Space travel, This is already In place. NASA’s Ames Research Center is teaming with the often sinister-sounding Machine-to-Machine Intelligence Corporation (m2mi) to create a global networking system using small satellites they call “nanosats.” The organizations say their nanosats will be developed with a fifth generation (or 5G) communication system — which includes VoIP, video, data, and wireless transmissions. This will in increase the data and earth bound communications of vessel ships that we send for colonization. Keeping in contact with earth will be crucial to the survival and thrival of exploration colonies. Elon Musk, Yes!, Elon Musk has been batting around the idea of a “space internet” for years, initially proposing it as a way to connect SpaceX’s Martian colonists. In the near-term, the system can be adapted to deliver easy, continuous access to base stations around Earth, providing simple connectivity to the planet’s most remote communities. A proposal filed in November shows how the system would actually work: 4,425 satellites in non-geostationary orbit traveling in a tightly choreographed ballet 700 miles above the surface of the Earth, keeping at least one satellite 40 degrees above the horizon at nearly every spot on Earth. This is set for implementation with the new 5G network. The big take away here is that we are already working with the new 5G network in space, when we get this tech and connectivity in the hands of the next generation they are going to find ways to take us further, faster and deeper in to space then we can comprehend. 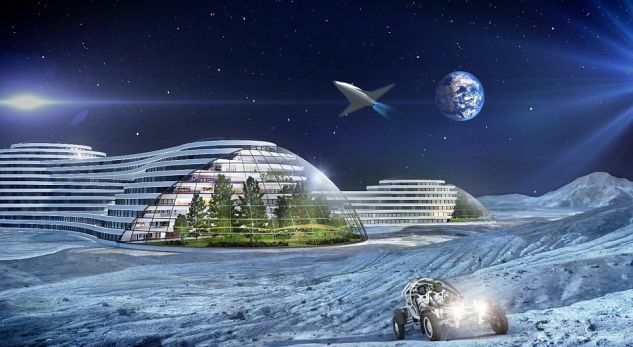 Not to mention the first Hotel in space will provide WiFi via the 5G network. With super-efficient, super-fast technology like 5G, wearables should start to take on a whole new role in our lives. Large batteries will be a thing of the past and it’s a good thing too, this will power cybernetic human components. The idea of a cyborg — a human-machine hybrid — is common in science fiction and although the term dates back to the 1960s it still generates a lot of curiosity. Our merger with machines is already happening. We replace hips and other parts of our bodies with titanium and steel parts. More than 50 000 people have tiny computers surgically implanted in their heads with direct neural connections to their cochleas to enable them to hear. In the testing stage, there are retina microchips to restore vision and motor implants to give quadriplegics the ability to control computers with thought. Robotic prosthetic legs, arms, and hands are becoming more sophisticated. The dawn is approaching and that day will bring human enhancements not just medical replacements. We will see people upgraded perfectly working eyes and ears for cyberneticly enhanced options. At some point it will be beneficial for human to have artificial enhancements, leaving un enhanced humans inferior to their upgraded counterparts. See the extinction of Homo- Neanderthals if you need to know what happens next. It will not take 1000s of years this time, I would say 3-4 generations. Time travel — moving between different points in time — has been a popular topic for science fiction for decades. Not all scientists believe that time travel is possible. Some even say that an attempt would be fatal to any human who chooses to undertake it. General relativity also provides scenarios that could allow travelers to go back in time, according to NASA anyways. The equations, however, might be difficult to physically achieve, especially with the limits of our computer and networking power. While time travel does not appear possible — at least, possible in the sense that the humans would survive it — with the physics that we use today, the field is constantly changing. However if you take the advances in quantum theory and extrapolate the vast capabilities of the new 5G network some kid somewhere trying to power his next gen Xbox will make a huge time paradox discovery that will baffle and change and evolve the world forever. Yes there is it, The new 5G network will evolve the world. This is what we need,The 5G network!! The future we are looking for.